Where to see and buy the best contemporary Thai art. Two of the Ardel galleries covered in this article are in central neighborhoods of Bangkok. 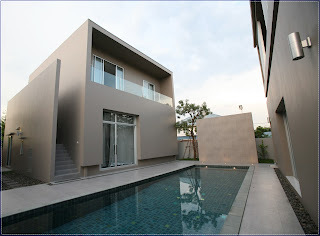 The third is in a suburb on the western side of the Chao Phraya River. It's not easy to see or buy modern Thai art because good galleries are scattered widely. One of the major developments in recent years has been the opening by multi-media artist Thavorn Ko-udomvit of three galleries. A few shows have featured foreign artists, but the emphasis is on Thai artists, both emerging and well established. The spacious, original gallery, ARDEL Gallery of Modern Art, is at least ten kilometers across the Chao Phraya River from Bangkok--in the almost-countryside west of the old royal city, Khao San Road and the suburb of Thonburi. This area is not within the normal tourist orbit. It is convenient, however, for those visiting Mahidol University’s Salaya campus in Nakhon Pathom Province or anyone passing through Thonburi on the way to, say, Buddha Monthon. ARDEL Gallery of Modern Art is the biggest of Thavorn’s three galleries, with space even for outdoor sculpture. Imhathai Suwatthanasilp's recent show exhibited her crocheted creations from human hair. In the past, ARDEL has held a group show of six photographers and exhibitions devoted to work by Tinnakorn Kasornsuwan and Seiji Kunishima. Professional and amateur winners in Sony’s annual international photography competition have also been displayed here. Also in the building are a cafe and a shop selling handbags, artsy T-shirts, prints and ceramics. The gallery also runs occasional photography and art workshops in Thai for both adults and children. A rough downloadable map in English is here. More accessible is ARDEL's Third Place Gallery on Sukhumvit Soi 55, better known as Thonglor Road. Recent shows have featured sculpture and painting by professor Thongchai Srisukprasert and photographs of American landscapes by Ohm Phanphiroj. Tawatchai Puntusawasdi, Pishnu Supanimit and Metta Sudasawad are three prominent Thai artists that have exhibited here in the past. Thonglor is a very wide, long street with many soi (lanes) branching off either side. Many Western and Japanese expats live in the vicinity as do upwardly mobile Thais. Parts of Thonglor sport luxury condos, furniture stores, cosmetic surgeons and all manner of trendy restaurants, cafes, coffee shops and music clubs. Third Place Gallery itself is about one kilometer--at most two kilometers--from the Thongkor Skytrain station and Sukhumvit Road, on the right-hand side. It's on the corner of Thonglor Soi 10. It's an easy walk; the sidewalk is decent and uncluttered. Alternatively, from Sukhumvit Road, walk for a minute up Thonglor on the left-hand side and catch either a motorcycle taxi or a small pick-up truck. They operate like public buses, plying up and down the same route for set prices, though you can also hire either to take you to a specific address in the area. As long as you're in the area, you might want to check out a nearby art school and gallery officially called BKK Arthouse@Studio Miu Thailand. Ardel is on the corner of Soi 10. Studio Miu on the corner of Soi 13--so it's roughly across the street but farther up Thonglor a little bit. It's in a housewares and furnishings mall called Home Place, so easy to spot. 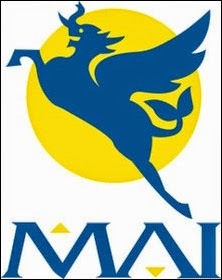 Associated with Studio Miu of Japan and Singapore, Studio Miu is primarily engaged in "painting, drawing and creating" classes for children, but there are occasional painting and drawing classes for adults. The teachers are Japanese but speak some English. The gallery has occasional exhibits, such as the recent one of paintings by Thai artist Pasutt Kanrattanasutra that were stimulated by hypnosis (but take a look at his earlier sculptures). Tourists may find themselves on Thonglor Road but ARDEL’s newest branch is the easiest for them to find because it is near Bangkok’s main train station, Hualamphong. It's also walking distance of Chinatown. The gallery is also close to the Hualamphong MRT (subway) station, which exits at the southwest corner of the train station. The downside: DOB doesn't seem to hold exhibitions as frequently at the main Ardel gallery and Third Place do. In the past, there were shows here of oil paintings of people working along the Chao Phraya by Vorasan Supap, self-portraits by Pacharapong Meesilp, portraits by photographer Kanok Suriyasat and an installation on Buddhist themes by Amrit Chusuwan. 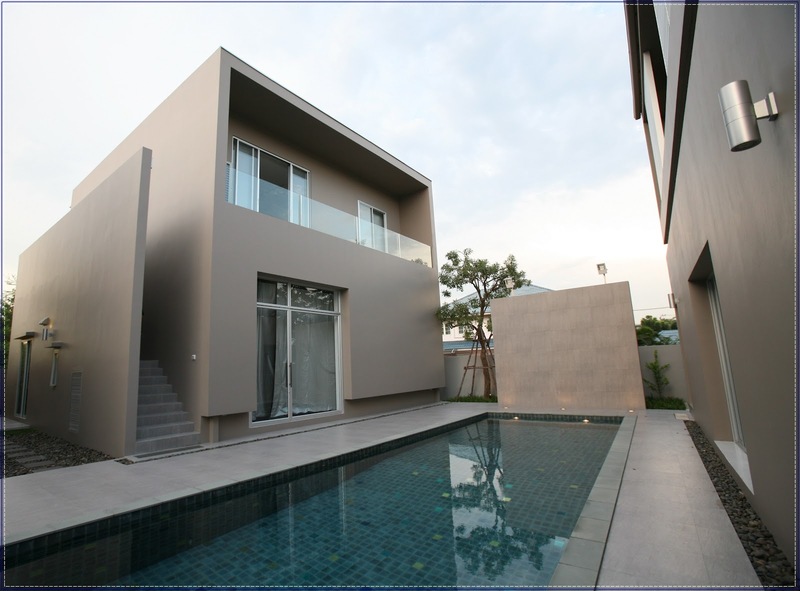 Address: Resident One Property Co.
318 Rama IV Road and Maha Phrutharam Road. If you want to see more contemporary Thai art, the first part of a walking tour begins on Silom Road. H Gallery, Kathmandu photography gallery and two other artsy spaces are covered in the second part.